If you truly believe the age-old saying that shoes maketh the man, then, according to contemporary standards, most of us are forged on fast-rolling production lines in the eastern hemisphere. 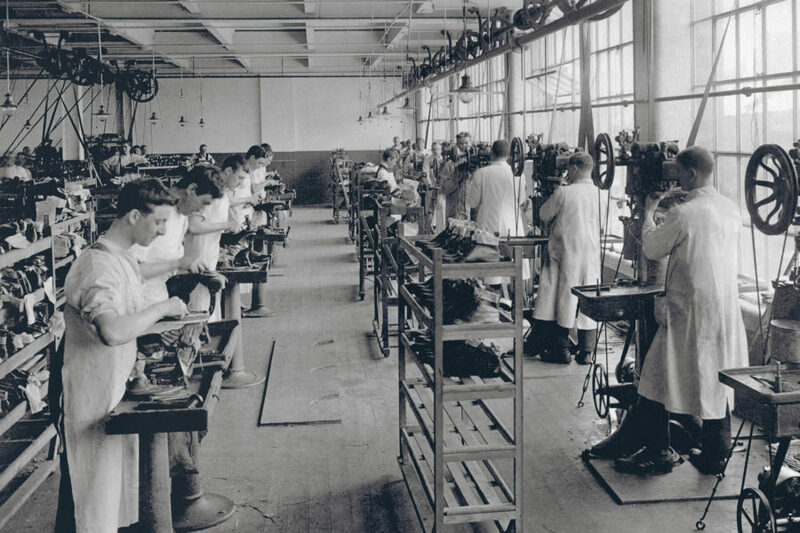 Back in the late Seventies, however, men were built in Northampton-based workshops which were filled with skilled artisans who were able to click and cut high-quality kicks to perfection and in high numbers: in 1968 alone, all of Britain’s 92,000 workers produced more than 200 million pairs of shoes. This marked the apex of home-grown shoemaking. 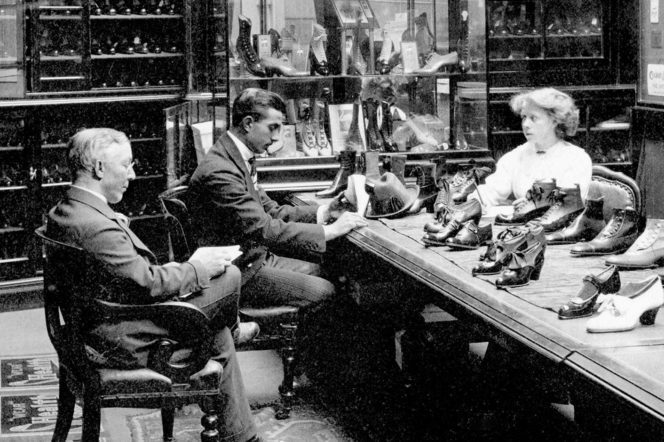 Yet, with cheap and mass-made products looming large, English cobblers were kicked to the curb while department stores, seeing the profit they could make from these less expensive alternatives, looked abroad for their stock. But today, Northampton-made Goodyear-welted boots and brogues are to menswear wardrobes what chateaubriand is to supermarket-bought haslet. And Crockett & Jones, perhaps the biggest and best-known British name in the industry, currently leads the revival of the business. 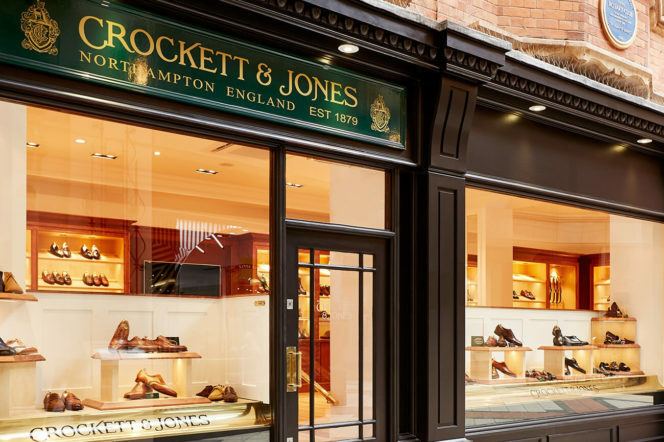 Founded in 1879 by two brothers in-law, James Crockett and Charles Jones, the firm started as a small-scale producer of men’s boots with a £200 grant in hand. 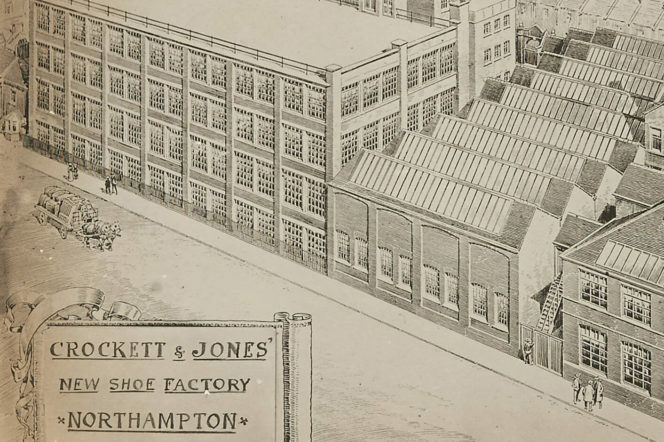 The first factory was situated on Exeter Road, Northampton, and housed the initial 20 employees; it was here where the leathers were cut before being distributed to out-workers, who would take the parts home, complete their process and then return all components to the factory. 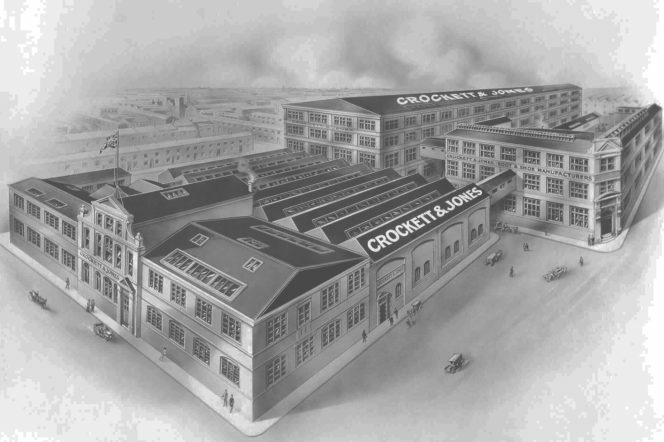 Business flourished and production needed to expand, so within a few years the team uprooted to Carey Street – a move that saw Crockett & Jones install the innovative Charles Goodyear machine (more on this later). Again, following a feast of good dealings, the second generation of the family relocated the factory to Magee Street – the same vicinity in which the organisation resides today. And when the First World War broke out, not only were Clifden Crockett and Percy Jones (both of whom were the youngest sons of the founders) called upon to serve their country, but, in a sense, so was Crockett & Jones: over 600,000 pairs of army boots were manufactured by the brand every year between 1914-1918. Once war broke out again in 1939, more than a million pairs of officer’s boots were made for Britain’s war effort. 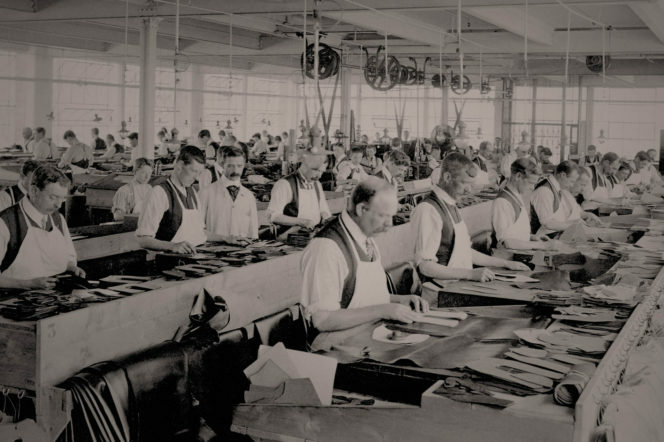 However, during the Seventies, like every other British shoemaker, Crockett & Jones sensed that there would be tougher times ahead; after all, despite the growing trend in the footwear industry as a whole, mass-produced goods were coming to the fore and C&J had experienced an all-time nadir when it was making only about 60,000 pairs per annum. 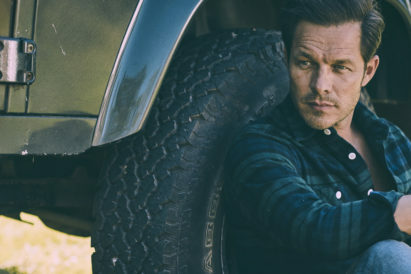 So, over the coming years, the collections were re-defined and focus was placed on producing only the highest quality men’s Goodyear-welted items. 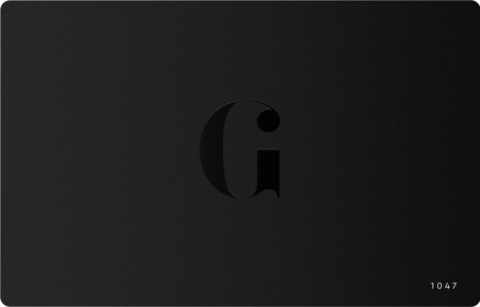 And, because standards continually improved, so did the firm’s reputation, with sales gradually moving away from Commonwealth markets and into Europe, USA and Japan. As the business began to build again over the next decade, it slowly became the epitome of quality; consequently, exports reached 70% of the overall production and in 1990 Crockett & Jones was awarded the coveted Queen’s Award for Export Achievement. Seven years later, it opened its first standalone shop on Jermyn Street. 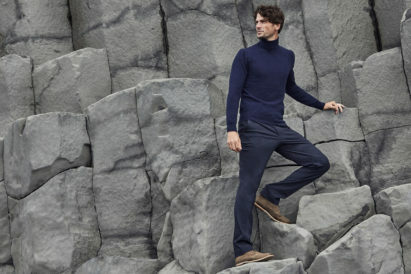 In recent times, as the retail division has grown, so has awareness of the brand, thanks mainly to the fact that its ultra-high quality and luxurious shoes have become the footwear of choice for some of the world’s most famed and photographed men, notably Daniel Craig’s James Bond in Skyfall and Spectre. 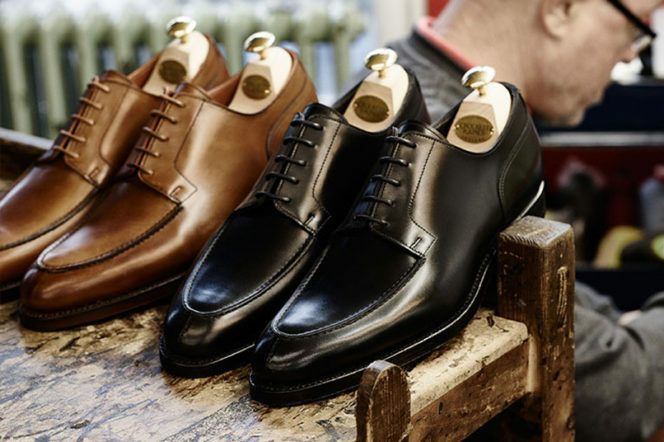 Set within the shoemaking capital of the world, Northampton, Crockett & Jones’ workforce proudly sit in an impressive Grade II listed building that’s complete with well-trodden corridors and wood-panelled walls which are rich in tradition and heritage. 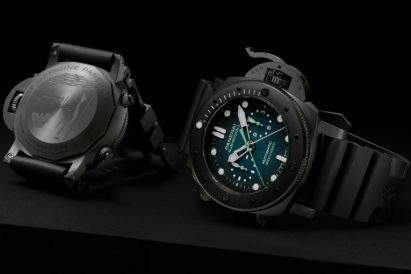 Although the production process itself has evolved somewhat since its original days in the 18th century, much of the factory appears the same as it ever was and the techniques that are utilised are hardly different to those which would have been applied during the brand’s earlier years. Inside, a highly skilled workforce completes over 200 separate operations in order to produce the strength and comfort that these shoes provide their wearers, and with seven rooms set over seven floors it is the second biggest of its kind in Northampton. To date, C&J has passed through five generations (a rarity in today’s luxury market) and currently has just over 200 people on the factory floor. What makes Crockett & Jones special is that its items are meticulously made at every step of the creation process. The high quality and superior Goodyear welt – a strip of leather that runs around the edge of the upper and holds the components together – is often cited as a hallmark of decadent shoes and the overall construction – which takes a staggering eight-week period to complete – ensures they are durable, timeless, stylish and exceedingly comfortable. Furthermore, because they really are handmade, and because the company has to compete with French luxury houses for the calfskin required for its opulent uppers, Crockett & Jones shoes are extremely expensive by comparison to high-street retailers; at the lower end of some of the “Main collections”, asking prices start around the £200-300 mark, while heavy-duty boots can cost up to £600 and more. But, however hard of a hit your Visa has taken, it’s worth it, for C&J wearers can get around a decades-worth of use out of each pair they purchase. At this moment, Crockett & Jones can boast 12 flagship stores and a worldwide reach to nearly 30 countries – in Japan, customers are often inclined to buy a suede chukka; Americans, however, favour the traditionally English round toe. Intrinsically British, but ultimately international, Crockett & Jones is built on strong foundations and continues to remain true to the ethos that the original men founded the organisation upon.